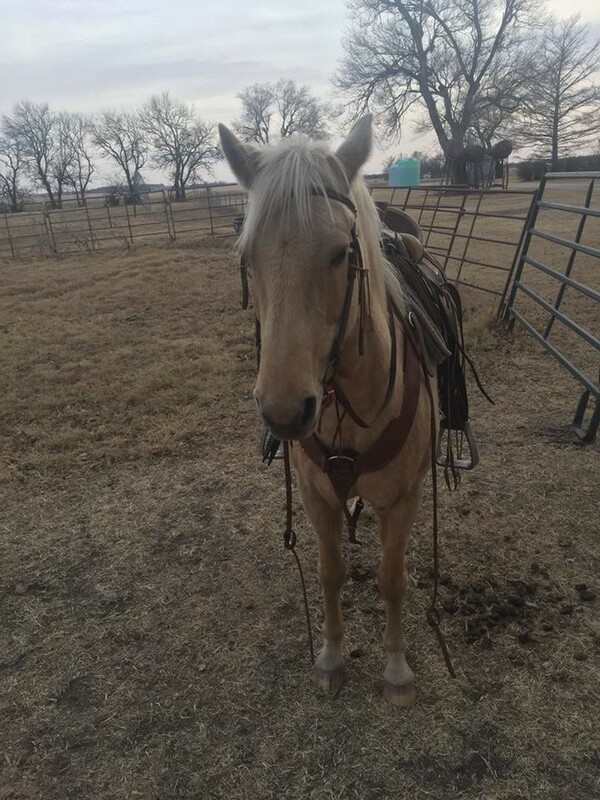 12 year old mare. Pony/Quarter Cross. No papers. 14.1 hands. Would make a good step up horse for a kid with a little bit more experience, or for just about any adult rider. She is super sweet! We have worked with her on neck reining, but she could use a little more work on it. She learns very quickly and is very easy going. She has been used as a trail horse. I roped a barrel and drug it around and she didn’t mind at all. If you want videos, feel free to email me.